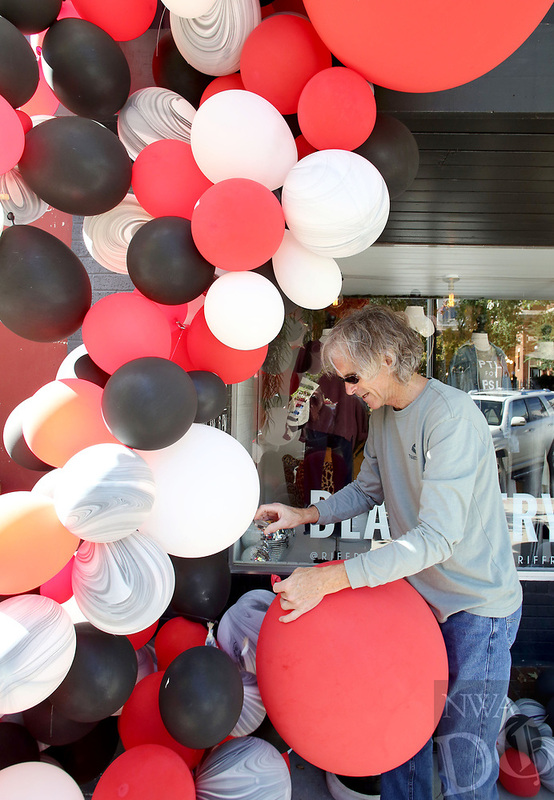 NWA Democrat-Gazette/DAVID GOTTSCHALK Kent Raymick, with Pigmint Flowers and Gifts of Fayetteville, removes Monday, October 23, 2017, a balloon garland from the facade Riffraff Clothing and Home on the downtown square in Fayetteville. The business has the garland installed for the University of Arkansas Razorback home football games. Raymick has to pop the balloons to help with transporting them.